BAIDOA, Somalia - Somalia's Southwest State parliament has on Thursday, November 15 postponed the region's presidential election for two weeks due to technical problems, Garowe Online reports. 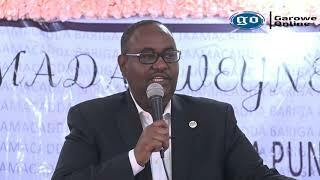 The deputy chair of the standing committee of the regional assembly, Mohamed Nur announced the decision during a press conference in Baidoa city, saying the vote has been delayed to November 28. The election was scheduled to take place next Saturday, 17th November. “The election was agreed to postpone by two weeks from now over technical problems. 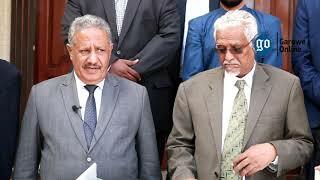 We are working on ways to fix the current circumstances,” said Mohamed, adding that the election will be free and fair. The postponement comes barely a week after several members of the regional election commission have resigned en masse, citing "direct interference and manipulation in the electoral process" from Federal Government. 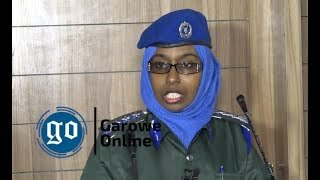 The alleged Villa Somalia meddling in Southwest State affairs is attributed to the delay of the election, according to sources in Baidoa, who spoke to Garowe Online. 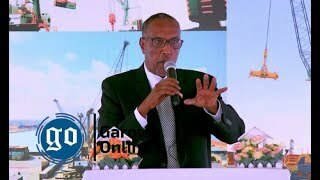 Additionally, the president of the Federal Member State, Sharif Hassan Sheikh Aden stepped down and dropped out of the presidential race Nov. 7 after reaching facing huge pressure from Mogadishu. The UN mission Somalia urged the presidential candidates Southwest State to promote a free, fair and transparent vote in the upcoming election after UNSOM's new head Nicholas Haysom visited Baidoa. 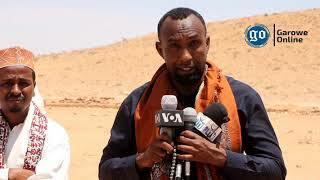 Several aspirants, including former Al-Shabab deputy leader, Mukhtar Robow and ex-minister for Energy, Abdulaziz Lafta-Garen, who is backed by the government are vying for the top set of the Somali Federal state. The voting came after the state leader unveiled his 25-member cabinet through consultations.